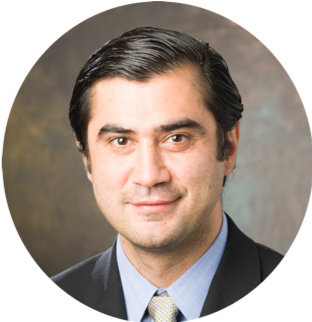 Dr. Murat Gunel, Professor of Neurosurgery, is the chief of the Neurovascular Surgery Program at Yale University. Dr. Gunel is a board certified neurosurgeon and is a fellow of the American College of Surgeons. He has special interest in treating brain aneurysms and vascular malformations with special emphasis on arterio-venous malformations and cavernous malformations. He also has expertise in occlusive vascular disorders such as carotid disease and gamma knife surgery (radiosurgery). His laboratory interests parallel his expertise in clinical neurovascular surgery and focus on gene discovery in disorders of the nervous system and its vasculature. Dr. Gunel's lab completed the two largest genome wide association studies (GWAS) aimed at understanding common variants that underlie intracranial aneurysm genetic risk based on the analysis of over 20,000 subjects. In addition, he is interested in the identification of genes important in human brain development through the study of rare, consanguineous families with recessive forms of malformations of cortical development.